Intruders of the rodent family can be cringe-worthy. But rats, mice and other rodents not only create a nuisance by chewing wires and other items in your home — rodents are health hazards as vectors for infectious diseases. Rodents can be a public health nightmare as vectors for disease. Bubonic plague is perhaps the best known and the most serious of illnesses, making rat control highly important. While cases of bubonic plague have not reached outbreak levels in recent years, leaving the rat population unchecked can increase the potential for increased levels of disease. Other diseases carried by rodents are Leptospirosis, Lymphocytic Chroriomeningitis (LCMV), and Hantavirus. Rodents are also a source of allergens, with rodent droppings, rodent dander and rodent hair causing people to sneeze and experience other allergic reactions. A rodent infestation can be overwhelming, but the rodent control pros at Mariners Pest Control are your source for rodent inspection and rodent control solutions. The certified technicians at Mariners Pest Control will perform a thorough rodent inspection, identifying vulnerabilities from floor to ceiling and identifying the type of intruder. 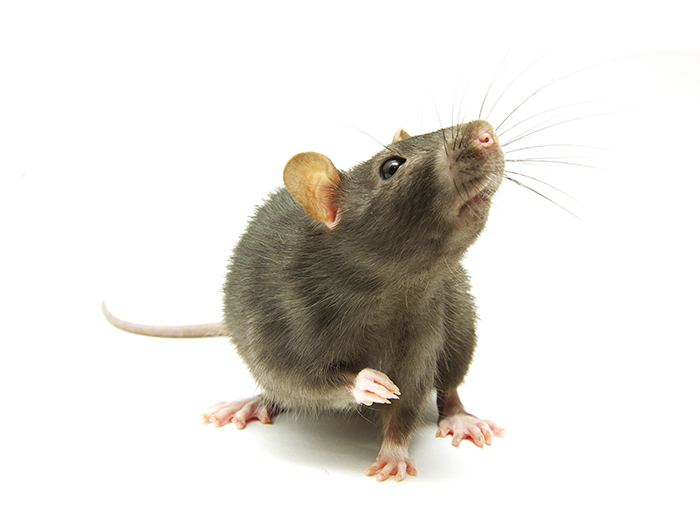 Whether it’s rats or mice, once the scope of the rodent infestation has been identified, the technicians at Mariners Pest Control will create a customized rodent control plan for rodent treatment. Mariners Pest Control provides all of your rodent control solutions to keep your family safe and healthy from these unwanted houseguests. In order to best assess your rodent control and treatment needs, please call 888-945-2847 or fill out our contact form for your FREE rodent inspection. Diseases carried by rats and mice include the following: bubonic plague, salmonella, typhus, hantavirus, tapeworms, and other diseases. How do I know if I have rats? Rats are nocturnal and most active at night, which means that a rodent infestation can begin before ever being seen. Listen and look for these signs, which are indicative of a rodent infestation: Rats or mice that are dead or alive, droppings near food and trash areas, noises such as scratching sounds in the attic, nests or piled nesting materials in hidden areas, gnawing evidence on wires or wood, burrows around the yard, gnawed fruit in trees, smudge marks along walls, and rodent hairs along paths or near food. How do I know whether it’s a rat or a mouse? Rats typically are larger than mice, with a full-grown size body of 8 inches long and a tail that is 9 inches long. A full-grown mouse typically reaches a potential size of 3 to 4 inches in body length with a 3-inch long tail. There is also a difference in weight, with an adult rat weighing in at about one pound, while a mouse averages about 30 grams. Rat droppings are also larger in comparison to the droppings of mice, which is also used as evidence to identify whether your rodent infestation is of rats or mice. I found a nest in my attic. Do you really think that it belongs to rats? The typical roof rat usually nests above ground in trees or tall shrubs. Their indoor nests are typically in the upper levels of the home. Roof rats are extremely good at climbing and often gain access to attics and crawl spaces by running along cables, wired and tree branches. I think I only have one or two rats. Is that still a problem? Yes! Two rats can lead to the reproduction of about 1,500 young! Rats as young as three months old can breed and produce offspring, and a female can have up to twelve offspring in each litter with up to seven litters in a year. That’s a lot of rats! It is important to engage in a rodent control treatment plan as soon as rats and other rodents are identified as inhabitants of your home. Do you hear scratching in your walls? It’s a rodent! 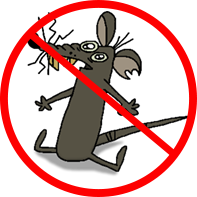 Mariners Pest Control is the right choice to rid your home of rodents! Call us today at (888) 945-2847 or fill out our contact form to schedule your FREE rodent inspection. We service Orange County, San Diego County, Los Angeles County, Riverside County, and San Bernardino County.